Erick G.R. 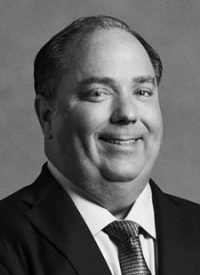 Kuebler serves as President and Managing Director at Sanders Morris Harris and serves on the Board of Directors of Tectonic Holdings. In addition, Mr. Kuebler is a shareholder of T Bancshares, Inc. and T Bank, NA. Prior thereto, Mr. Kuebler was Managing Director at JP Morgan Securities. He began his career in 1993 building out the RIA platform at Bear Stearns (which was acquired by JP Morgan in 2008). Drawing on more than 25 years of experience, as well as his deep relationships in the investor community, Mr. Kuebler assists clients in the development and execution of trading strategies, 144 sales, 10B5-1 sales plans, option strategies, cash management, fixed income and algorithms. He has been active and involved with many civic and community activities including Junior Achievement, Boy Scouts of America, coaching youth soccer, baseball, basketball, and lacrosse. Mr. Kuebler is an Eagle Scout and graduate of Texas Christian University.